Just over a decade ago, in 2005, Omega launched a new professional diver’s watch collection dubbed the Seamaster Planet Ocean. Although modern in terms of design, materials, and mechanics, the Omega Planet Ocean watches draw inspiration from the brand’s rich legacy of diving watches. Today, the Planet Ocean is Omega’s signature pro dive watch with plenty of variations offered. 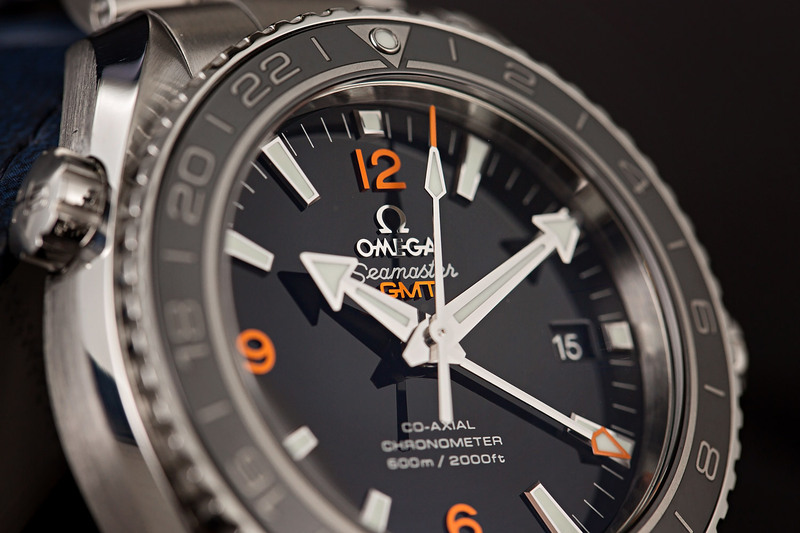 Join us as we take a look at an especially practical model, the Omega Seamaster Planet Ocean GMT. 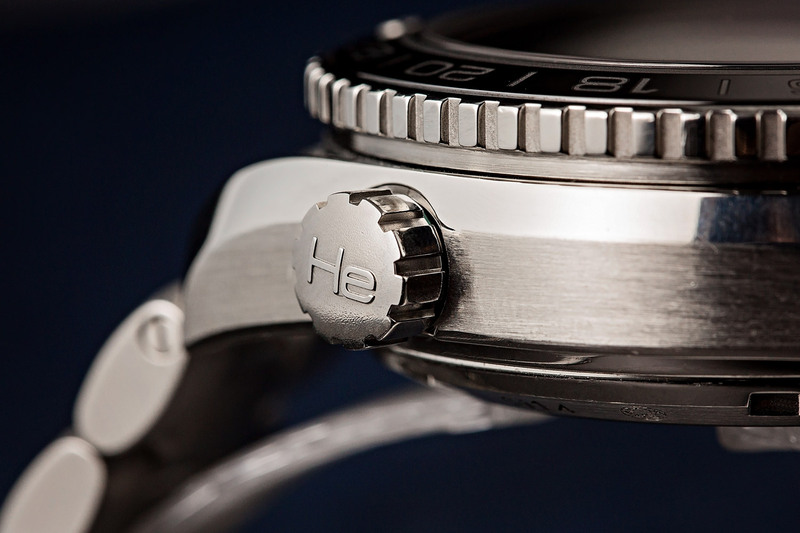 A full steel model, this Planet Ocean GMT (ref. 232.30.44.22.01.002) sports a stainless steel 43.5mm case and matching steel bracelet. As a professional dive watch, this Planet Ocean includes all the elements essential for an underwater tool watch. There’s the water resistance to 2,000 feet, the helium escape valve to prevent damage during decompression periods, and a highly luminescent dial for legibility under water. Omega has their own version of the helium escape valve. However, unlike most dive watches, this Omega Seamaster Planet Ocean GMT does not have a unidirectional rotating bezel, but rather a bi-directional one due to its GMT functionality. An especially useful feature for travelers, the GMT allows the wearer to keep track of two time zones simultaneously thanks to the extra 24-hour hand and a bi-directional rotating bezel marked to 24 hours. On the PO GMT, the 24-hour hand features an orange arrow tip, which pairs nicely with the other orange details on the black dial. Furthermore, the black ceramic bezel is not only attractive to look at but the tough high-tech material is also highly resistant to scratching. Adding to the practicality of the watch is the discreet date window at 3 o’clock. Here is a close up of the Omega Seamaster Planet Ocean GMT. Look at the hands. A particularly appealing design touch on the Planet Ocean is the use of Omega’s iconic double broad arrow hands where both the hour and minute hands include large arrow tips. Protecting the face of the watch is the domed scratch-resistant sapphire crystal treated with anti-reflective coating on both sides. 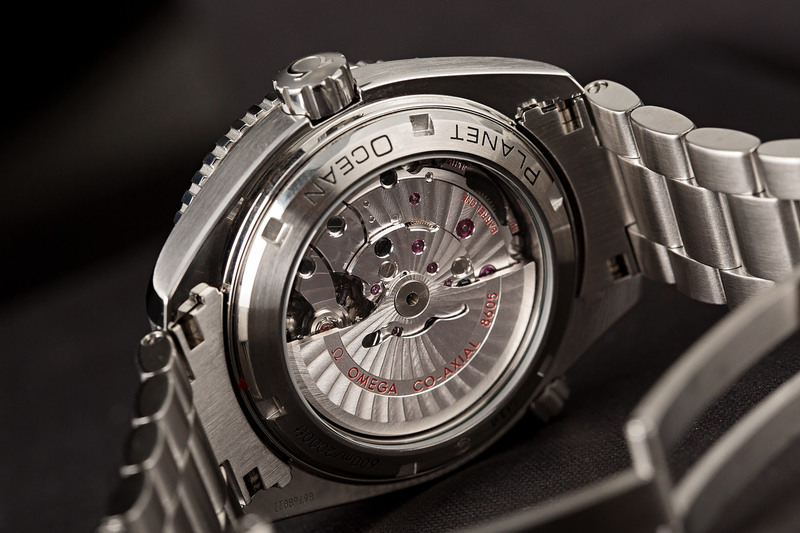 The Omega Seamaster Planet Ocean GMT has a display caseback to see the inner workings. If you flip the watch around, you’ll have a great view of the handsomely decorated Omega Co-Axial Caliber 8605 through the sapphire exhibition caseback. The in-house automatic movement drives the time, date, and GMT function and offers a generous 60 hours of power reserve. Caliber 8605 comes equipped with Omega’s famous co-axial escapement technology, which boasts less friction than the ubiquitous lever escapement, thus requires less servicing in general. Furthermore, like all modern Omega movements, the Caliber 8605 is, of course, chronometer-certified. 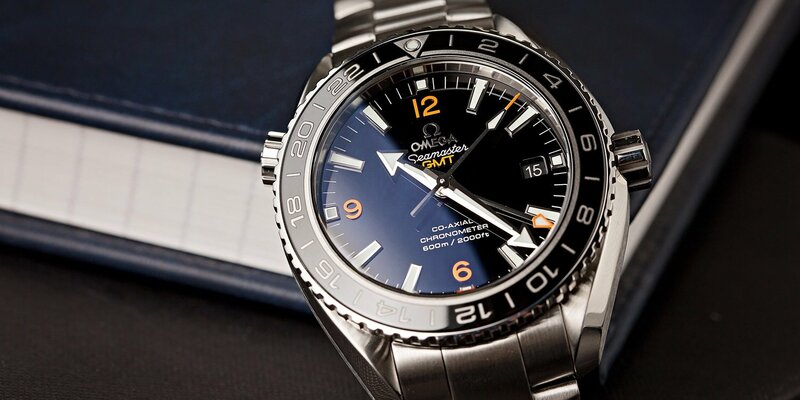 Whether used underwater as a diving watch, or worn as a traveling companion to keep track of two time zones, or simply have on as a luxury sports watch, the Planet Ocean GMT offers plenty of practicality encased in a fantastic modern Omega watch. 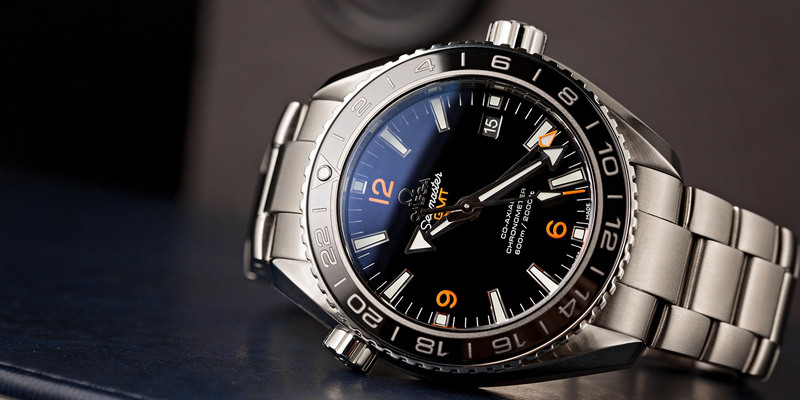 What are your thoughts on the Omega Seamaster Planet Ocean GMT? Comment below.